Writing values on the wall is easy but by itself pointless. Effective values need embedded in the organization, not just written on the wall or in the company’s annual report. Enron Corporation was founded in 1985 through the merger of two, regional energy companies - Houston Natural Gas and InterNorth. Employing some 20,000 staff, Enron was one of the world's major utility companies, taking great advantage of the de-regulating market for energy to claim revenues of nearly $101 billion during 2000. Fortune magazine named Enron "America's Most Innovative Company" for six consecutive years from 1996 to 2001. But the revenues and profits weren’t real. A complex and deliberately opaque company structure had been constructed to move liabilities off the balance sheet and hide the fact that Enron was booking revenues for multiple years ahead, actions that hugely inflated profits and the share price. Enron filed for bankruptcy in December 2001, in the largest bankruptcy in American corporate history. The scandal also took down their auditor, Arthur Andersen, at the time one of the world’s top five accounting firms which had been in business nearly 100 years. 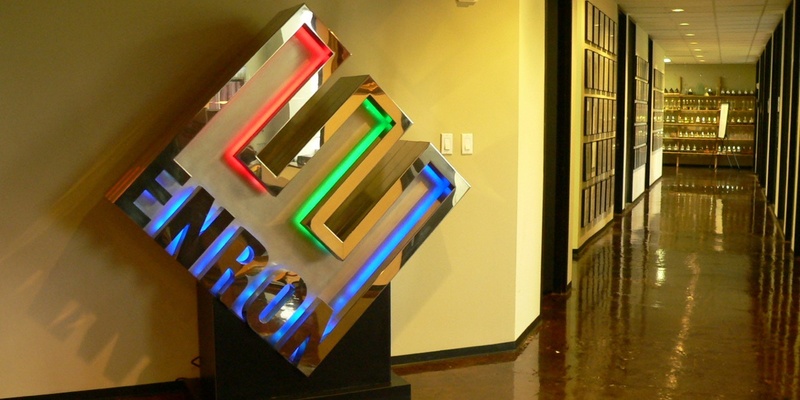 Enron’s company values were painted on the wall and proudly displayed in their annual report. At the time of the company’s collapse they were Integrity, Communication, Respect and Excellence. This is a 2005 documentary which explains the scandal and collapse called Enron: The Smartest Guys in the Room. Truth is stranger than fiction - it's highly recommended.